in the hope of being elected. “People don’t know us much with our original names. This province has 14 constituencies. We need people to know us. We decided that we should come up with a ‘brand’,” he said. 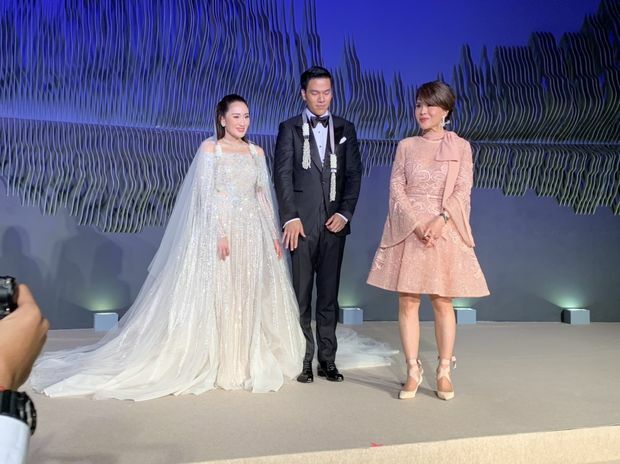 Princess Ubolratana on Friday presided over the wedding reception of Thaksin Shinawatra’s youngest daughter in Hong Kong. Paetongtarn Shinawatra and Pidok Sooksawas, a pilot with a commercial airline, were married at the Rosewood Bangkok Hotel on March 17. The couple held another reception at the Rosewood Hotel in the Chinese territory on Friday, with hundreds of relatives, including former prime minister Yingluck Shinawatra, and guests from Thailand. Notably, Khunying Potjaman na Pombejra, the mother of the bride, was not present. A source said she had already hosted a reception in Thailand and opted not to come. 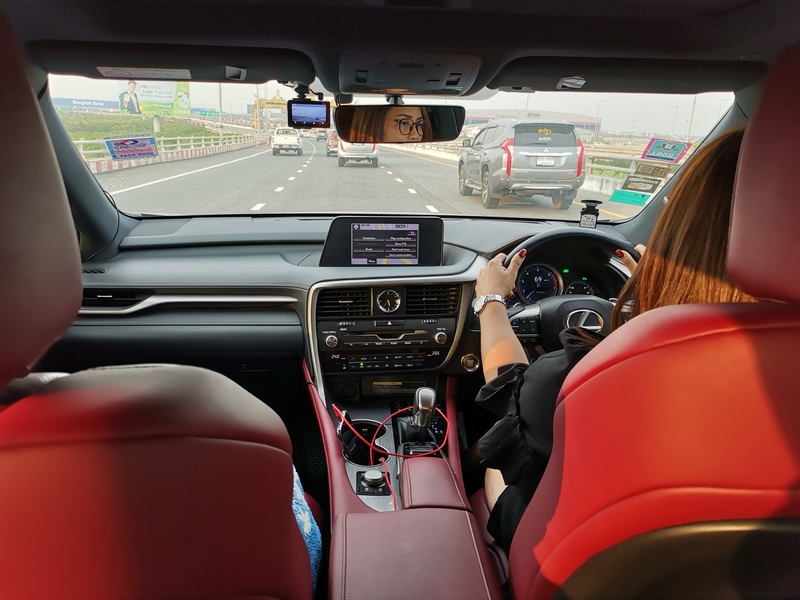 Khunying Potjaman and Thaksin divorced after the former premier went into self-imposed exile in 2008 to avoid being jailed on a conviction for abuse of power. Yingluck fled the country in 2017 before her conviction and sentencing for dereliction of duty. Princess Ubolratana on the stage with the couple. 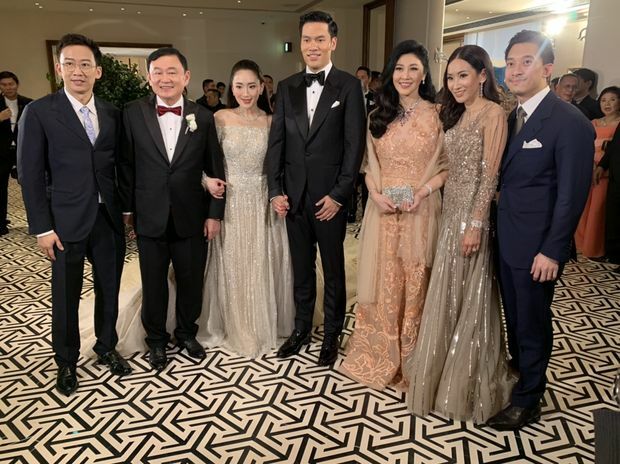 Among the Thai guests at the Hong Kong reception were friends of the couple, as well as Kachapa Tancharoen, a son of veteran politician Suchart Tancharoen and close friend of Panthongtae, Thaksin’s only son and elder brother of the bride. Mr Suchart, formerly a minister in a Thai Rak Thai government led by Thaksin, is now with the pro-regime Palang Pracharath party. Actress and model Araya A Hargate was also present with her husband, Vissarut Rangsisingpipat. Other Thai guests were former members of the disbanded Thai Raksa Chart Party -- former leader Lt Preechapol Pongpanich, co-leader Sunee Luangvichit, and MP candidate Khattiya Sawatdiphol. The Thaksin-affiliated party was disbanded by an order of the Constitutional Court for nominating Princess Ubolratana as its prime ministerial candidate. Tida Tavornseth, a red-shirt leader, was also present at the Hong Kong reception. During his address, Thaksin said that at first he planned to hold the reception on March 23 but the hotel room was not available. “So I moved the date to today because if we held it after March 24, we’re afraid the room would be jam-packed because we would definitely win,” he said, referring to the general election. Pinthongta and her husband Nuttaphong Kunakornwong. Do the Thai names have any meaning? Or do they have names with Chinese characters? It appears that several of the Thai Chinese or Thai have surnames or family names that may been their grandfathers' or great grandfathers' full names. I know of one individual, Nong OngPhongSong. Same with Chinese names. Given names have meaning. Surnames, no. The Thai Chinese surnames, like Indo-Chinese, were localized in order to integrate. Most Thais also have nicknames given to them by parents. Some change it later in life. The nicknames are more commonly used instead of given names. >> Or do they have names with Chinese characters? If they use Chinese at all, this would beceause name is tied to a long-standing business. But they would not use this as a legal name. The horse trading now starts, for coalition. Not unexpected, with the numerical count. Demographic stats speak for themselves. Numerical red victory more pronounced in north east and north (so no surprise here). Junta made progress with unabashed campaigning by current PM. Democrats screwed themselves, thought to be traditional power bastion. Abhisit threw in towel as blues leader. Youth newbie Thanathorn with Future Forward made inroads on debut.